Even "She Won't Go Quietly" deserves to be on there. There was a lot of footage there that was not in the movie. Does anyone remember the Covenant crew playing cards in the movie? It's just theatrical trailer. They could have made something special. Lazy, lazy. Everything about the home video release reuses existing materials. The cover is a still. No need to pay for the design of a new cover. The special features are all marketing virals and deleted scenes as-is. Commentary by Scott was probably recorded before release, like Prometheus. Now they use the existing theatrical trailer to market home video. They are minimizing their costs. Prometheus made twice as much, so it got a great home video release. The Counselor was cheap and didn't have a lot of special effects. It was easy to make a director's cut, which was actually more like the writer's cut, made at the insistence of Cormac McCarthy, as I recall. The Martian made three times as much money as Covenant and was nominated for Best Picture. They added ten minutes of deleted scenes that did not require much work to complete. Exodus did not make very much money and would require a lot of resources to do a director's cut. We didn't get one, probably never will, but at least we got a decent collector's edition Blu-Ray with a nice documentary. Robin Hood wasn't very profitable so it had almost no special features and a cheap director's cut that had few additional effects except cheap CG blood to make it unrated. It makes sense to me that Fox does not want to invest in a long cut of Covenant, yet. It would probably be expensive to produce because of special effects and they won't boost sales - unless they double dip. If it does really well on home video, which it might, maybe we will get an extended cut with some cheaper dialogue scenes restored, maybe some gore, the Making of Fear documentary, and they will recycle Scott's commentary and give us all the viral material they left out of the initial release. And a better cover using that impressive theatrical poster. The whole film is cheap. Glad I can pass on the expenses of this release as well (like Prom). I have no regrets about paying full price for Prometheus. I had a mixed initial reaction, but the more I watch it, the more I admire and enjoy it. 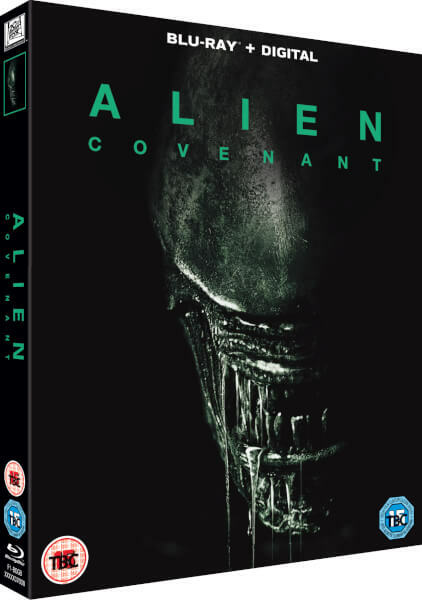 Its hugely underrated by Alien fans, imo. Critics who specialize in sci-fi adore it for good reason. Alien fans enjoy it the least for the same reason I enjoy Covenant the least: it isn't what they wanted. You could get Prometheus used very cheaply and I guarantee you will learn to appreciate it more if you watch the special features and then give the movie a few more tries. Like John Kenneth Muir wrote, it has twice the depth of Blade Runner and many times the depth of Alien. Its reputation is quite strong and continuing to grow. Eventually it will be ranked with Scott's best - just not by contemporary Alien fans. Fox have now released a trailer for the bluray. August 15th was correct for the bluray. Digital downloads will be August 1st. Did anyone manage to download a copy of the trailer? Anything of interest? 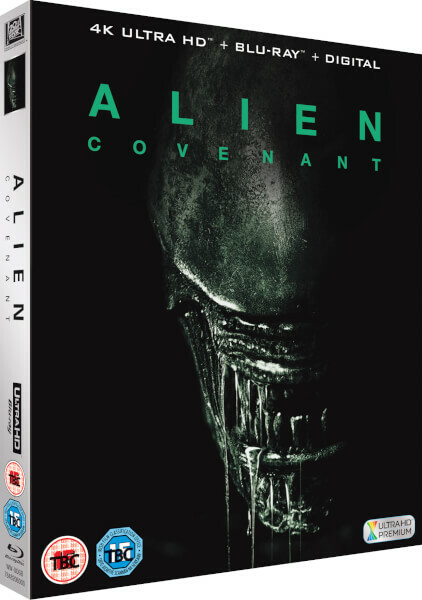 Looks like we in the UK are getting the best BD/4K covers. Another off-centre still of the Alien. I kinda like it actually. I would just like to point out again that the only viral featurette that was part of the film was The Crossing. The others weren't. To Protozoid: Yes I don't understand why some people hate Prometheus. The whole thing could have been a masterpiece if the actors didn't make any ridiculous decisions and screenplay was smarter. As well as adding a bit more Alien element to it. The scenery/story/music/pacing is fantastic. The biggest slap to the face from Covenant was thinking that there would be no more stupid acting decisions (No helms on planets, decisions, etc etc) and than only to see it and realize it's INFESTED with horrible dumb acting decision. I mean in Alien and Aliens there is not one acting decision or scene that made no sense. Everything was very well written and acted and thought of. If that is too much to ask? Like do people like stupidity or what? 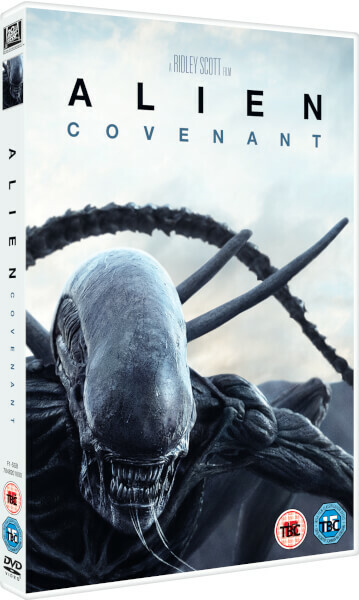 I don't get it how someone can say Covenant was a good movie for the franchise. I think I liked a total of 2 or 3 scenes. Personally i think the HMV Steelbook has my favourite looking cover of the lot. I am slightly biased though! It's exactly the same as one of theatrical trailers. All issues aside, I am really looking forward to this. I eagerly await the release of this Blu-ray so I can borrow it from a friend. Dude don't do it! Its 2 hours of aliens with visable human skulls, you won't survive! What if I turn the brightness way down? Like to AvP:R levels? Wow, a lot of typos, sorry about that. I meant to say I didn't understand so many of these scenes that made no sense. - Landing on an aluen planet, and coming out with no helmet, again...I thought they actually read the memo that a similar scene in Prometheus...was not very bright. - Your crewmate is screaming I'm not infected, open the damn door because there is something coming out if your other crewmate's BACK, because it's clearly visible he's been infected, but no, don't open and than close the door and both get guns or run and call for backup, and tell your freed crewmate if you come near me I'll shoot you. Instead, run away, come back a 2nd time to see how they are doing, than come back a 3rd time with a gun, open the door to do who knows what at this point, miss the target 5 times while firing blanks, than run away again while slipping like a pure goof, all just to have a little neomorph smash the door in the end. And than just blow everything up, hahahaha. Real smart. 3- Also the final scene inside the spaceship with the final big chap wannabe, was ridiculous, it looked like they stole some scenes from Alien Isolation, (Anyone remember the scene hiding behind crates in the hangar and Alien walking back and forth? ), and the story stolen from Alien. The whole blow it out to space sh!t once more, here we go hang tight while I CGI this thing yo. One of the worst Alien scenes ever...during most shots especially when it's climbing around...very scary wow.